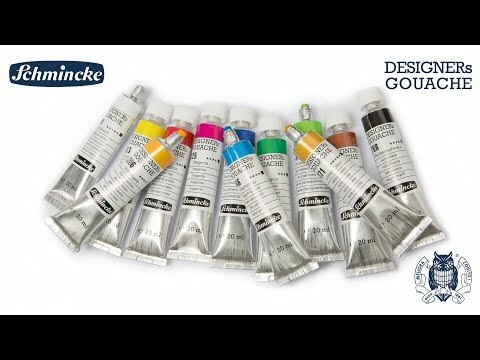 Schminckes DESIGNERs GOUACHE has been optimized to a well-balanced assortment with 48 velvet-mat colours of highest opacity and colour intensity. All colours have an easy and streak-free application. They can be applied with an airbrush (> 0.3 mm nozzle) and remain rewettable after drying. The lightfastness has been improved. All colours have very good mixing properties and are available in 20 ml tubes, black and white also in 120 ml tubes.